Starbucks – the world’s largest coffee chain – has long sought to be a “third place,” on par with one’s workplace and home. But recent changes have changed the atmosphere significantly and lead to the closure of store locations. 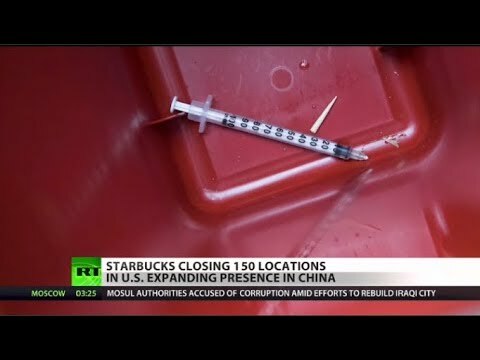 These changes include letting the homeless use their restrooms and plans to install hypodermic needle disposal boxes. RT America’s Natasha Sweatte has the details.